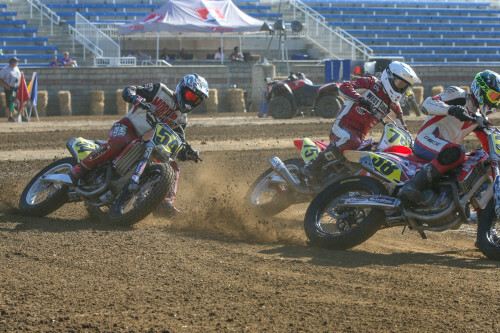 2016 – Made the GNC1 Main at the Rolling Wheels Half-Mile, scoring a 14th place result. Rode for Harley-Davidson of Staten Island. Early Career Turned Pro in 2003 and raced in Superstock. Came up through the Flat Track ranks. Made the GNC1 Main at the Rolling Wheels Half-Mile, scoring a 14th place result. Rode for Harley-Davidson of Staten Island. Made GNC1 Mains at Charlotte Half-Mile and Las Vegas Short Track, finishing 18th and 11th, respectively. Raced for T&L Racing Harley-Davidson. Won second consecutive Daytona 200 for TOBC Racing Suzuki. 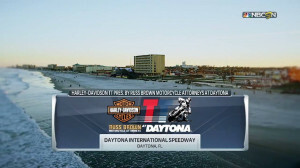 Won the Daytona 200 for Riders Discount Triumph. 2013 Contested full AMA Pro SuperBike season, earning 10 Top 5s on his way to fifth in the standings. Raced for Michael Jordan Motorsports Suzuki. 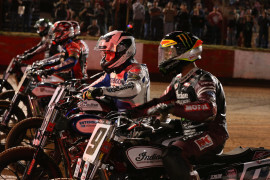 2012 Made a smooth transition to AMA Pro National Guard SuperBike. Accounted for three podium finishes en route to an 8th place finish in the standings. Recorded best race of year at Homestead-Miami Speedway where he finished in second place. 2011 Won his second AMA Pro Daytona SportBike championship with three wins (Barber Race One, Mid-Ohio Race 2 and Laguna) and scored one pole at Barber. Also raced in two XR1200 races, earning second-place finishes at Miller and Road America. Raced for GEICO/Lucas Oil Suzuki and RMR/Bruce Rossmeyer Daytona Racing. 2010 Finished second in the AMA Pro Daytona SportBike championship, collecting three race victories and seven additional podium finishes with the GEICO Powersports RMR Suzuki team. 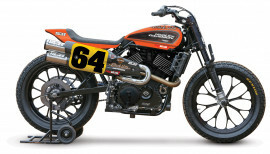 Won the Vance & Hines XR1200 Championship, claiming victory in each of the three events he entered. Raced for RMR Bruce Rossmeyer Daytona Racing. 2009 Won the AMA Pro Daytona SportBike championship with six wins - Auto Club (2), Road Atlanta, Mid-Ohio (2), Topeka. Earned four additional podiums in addition to a pole at Mid-Ohio. Raced for GEICO Powersports/RMR/Buell. 2008 Raced in AMA Pro SuperSport and finished third at Infineon Raceway and Laguna Seca and placed 10th in the championship. Also raced in Formula Xtreme with one top five at Road America on a Suzuki GSX-R600. 2007 Raced a Suzuki GSX-R600 in AMA Pro SuperSport and finished 14th in points. 2006 Raced in AMA Pro SuperSport and finished on the podium at California Speedway and earned four additional top five showings. Finished sixth in the championship. Also raced in Formula Xtreme, earning a podium at Infineon Raceway and three additional top five showings. Raced with Matsushima Performance Suzuki. 2005 Raced in Formula Xtreme earning fourths in the Daytona 200, California and Road Atlanta and placing third in the championship. Also raced in AMA Pro SuperSport, with a best result of eighth at Pikes Peak. Raced with MPTracing.com Suzuki. 2004 Raced in AMA Pro SuperSport with a best result of 10th at Road Atlanta. Also raced in Formula Xtreme with a best result of eighth at Pikes Peak. Raced with KWS Suzuki.